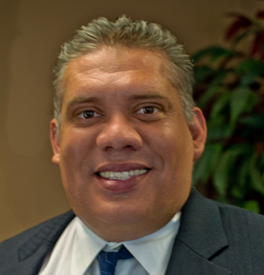 Alex Rodriguez joined Sabra Property Management, LLC, in 2010 as the Director of Maintenance. With over 20 years experience in Property Management, Alex held leadership roles with one of the largest Multifamily Real Estate portfolio’s in the Southeast, Bell Partners. Additionally, he held a long-term leadership role with High Associates, where he was responsible for oversight of several properties. Through his career, Alex has worked on a diverse portfolio of distressed properties. He has served as a Project Manager on renovation projects ranging from minor remodeling to complete rehab projects and currently Alex oversees the Maintenance Operations and Purchasing for SPM. Alex graduated from Clayton State University and holds a HVACR (Type I, II, III) License, CPO License & Mold Remediation Certifications and is an active member in the Atlanta Apartment Association.